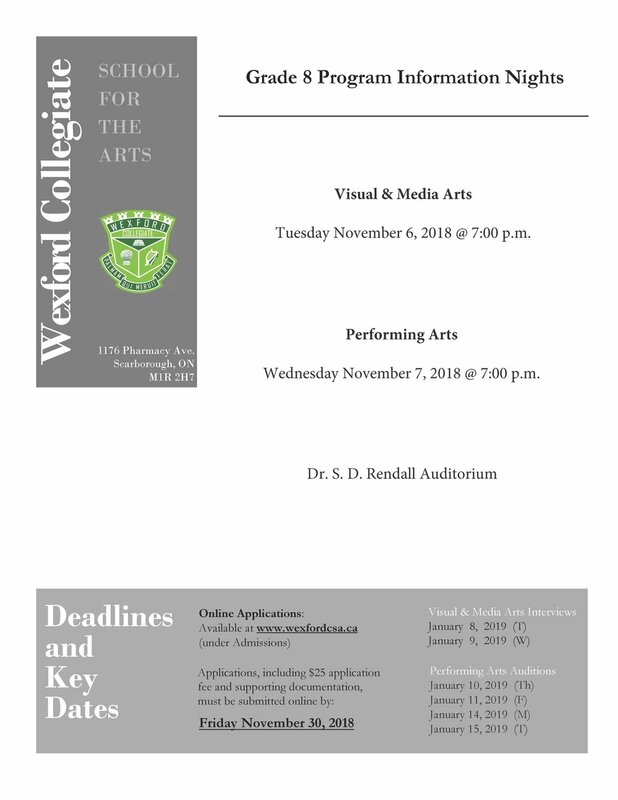 All prospective students and their families are invited to attend Wexford CSA’s Grade 8 Program Information Nights on November 6 and 7. The Visual & Media Arts night will take place on November 6, while the Performing Arts night will be on November 7. Both information nights begin at 7:00 p.m.
Grade 8 students who live in our community are welcome to attend either night.